The dental pain you experience can be severe or it can be mild depending on the condition. Emergency dentists in Worcester are available to help provide you with the care you need. If you are in pain, take a moment to browse through the list of emergency dentists in Worcester below to find one near you. All you have to do is call them and schedule an appointment to have your tooth looked at and treated. I called Emergency Dentists USA and was connected with the emergency clinic Grace Family Dental. They were able to see me the next day to take care of my loose crown! Finding a dentist to help you when you have a dental emergency can be difficult, especially when you find out that most of them are only open until 5:00 pm. Fortunately, there are alternatives for you to consider and those include walk-in or after hours clinics in Worcester. These clinics are typically open later than traditional offices and on the weekends. These offices do not require you to make an appointment for dental care either. Unique Dental of Worcester and Gentle Dental are great examples as they are open after hours most days of the week and even have Saturday dentist hours as well. It can be taxing to try to sit at the computer and search for an emergency dentist when you can’t even think past the pain. Fortunately, we have done the hard part of the search for you. Below, you will find a list of emergency dentists in Worcester. All you have to do is call one of them and make an appointment. Description: Call our 24-7 emergency dental hotline when you encounter dental difficulty, and discover for yourself how useful of a tool it really is. You can get emergency dental help in Massachusetts fast. Description: This excellent choice for a Worcester emergency dentist is headed up by the amazing Matthew Freely, a Tufts Dental School graduate. He has been here for 6 years practicing general and cosmetic dentistry and is an expert in the use of soft tissue lasers. Everyone around will tell you that this practice uses compassion, care, and a high level of technical knowledge to get the job done efficiently. Description: With a superb support staff and a leading team of dentists, this walk in dentist in Worcester, Ma is well prepared to handle your urgent oral health needs at a moment’s notice. 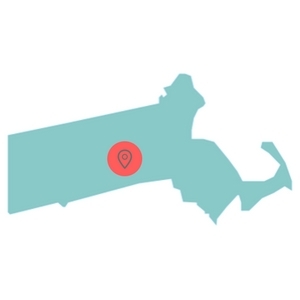 This outfit has multiple dental offices throughout Massachusetts so if you are in need of qualified dental emergency clinics Worcester, Ma then look no further than this dental group. Description: Another excellent choice you may wish to consider if confronted with an urgent ER dental issue is Grace Family Dental clinic. With Saturday dental emergency Worcester appointments made available to patients, call or walk in to get that help you require. Serving central Massachusetts as well as the emergency dental Shrewsbury area patients, this may be just what you need for your personal dental care. Description: Arena Family Dental is an ideal weekend dentist for those with emergencies. They offer hours from 9 A.M to 2 P.M. on Saturdays and are willing to work late into the day on weekdays. You will find that their prices are very affordable and offer seniors a discount. Arena also offers close to 20 different dental services. So, make sure you check them out! When you call into the office to make your emergency dental appointment, you should inquire about the cost of service, what insurance plans are accepted, and whether or not they will accept your form of payment. Some dental offices do not accept cash and checks while others do. If you are unsure of the procedure you need to have performed, you may want to inquire about some general pricing estimates, so you know how much you may need to pay while there. If you have never been to this emergency dentist in Worcester before, you should arrive about 15 minutes earlier than your scheduled time to ensure you have enough time to fill out the new patient paperwork. This paperwork will ask you basic questions about your medical and dental history. Should you have any x-rays or your records, you should hand them to the office staff at this time. If you are allergic to any medications, do inform the office staff and dentist, so proper arrangements for your care can be made. If you suffer from any type of dental anxiety, now would be a good time to mention it and go over your sedation options. Tooth pain is one of the first identifiers that signal there may be a problem with one of your teeth or within your mouth. If you experience tooth pain regularly, you may be experiencing one of the many emergencies that can arise. While some emergencies do arise instantly and at the time, others will take longer to develop such as tooth decay. No matter the type of emergency you have, you need to seek out the proper dental care in Worcester. Allowing the problem to persist will only make the condition worse. 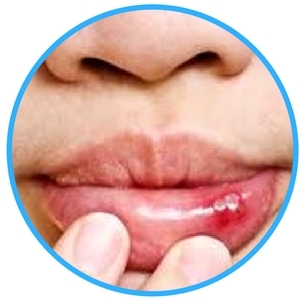 A dental abscess is an infection that occurs in the mouth and appears as a pimple-like bump on the gums in between teeth or near the root of the tooth. 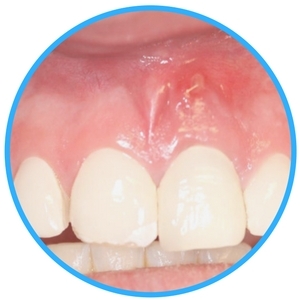 An abscess is considered to be a dental emergency and needs to be handled immediately. Proper treatment of the condition requires the abscess to be drained by a professional dental provider. You should never drain it on your own, as the infection may spread. You can rinse your mouth out with a warm saltwater solution and take an over-the-counter pain reliever until you see your dentist. -If you cannot control the bleeding, contact a Worcester emergency dentist immediately. A lost filling can happen whenever the structure of the tooth is compromised or if a sticky substance pulls on the filling the wrong way. 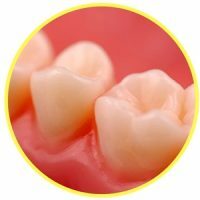 If you have lost your filling, you should attempt to recover it first. Then, you should place a piece of sugar-free gum into the hole to fill it temporarily until you can see the dentist. Should you not want to use gum, you can use an over-the-counter dental cement to fill in the hole as well. Emergency tooth extractions sound scary, but they are a possibility when you head into your local Worcester emergency dentist’s office. Tooth extractions are usually the last resort for all dentists. If the tooth is unable to support itself or any of the available treatment options, an extraction will be recommended. If you are told you need to have an extraction performed, it is advised that you do it because waiting will only cause the problem to persist and get worse. When you have severe tooth pain, the first thing you may think is that you have an emergency and should head to the emergency room. After all, they do treat emergencies. While this is true, the emergency room is not the best place for you because they are not equipped to handle dental problems. In fact, the physicians on staff are medical doctors and only handle medical procedures, diagnosis, and operations. They will only be able to look at the problem tooth and possibly prescribe you pain relievers to hold you over until you can see your dentist. You would be better served at a Worcester emergency dental office. Here, they will be able to provide you with the care you need and the procedure required to eliminate the pain you feel. Emergency dentists have the tools and equipment on hand to ensure you are in good oral health. Now, there are some cases where you should go to the emergency room and that is when you break your jaw, hit your head, or are involved in some type of traumatic accident. Tooth pain can fluctuate from mild to very severe and you may not be able to live a normal like while you experience it. From having to call off work to missing out on social events, your life will not be the same. However, it does not have to be this way. In fact, with the proper care from a Worcester emergency dentist, you will be like new once again. The Emergency Dentists USA portal is designed to be used for informational purposes only and should never be used to replace the advice of a medical professional. If you are experiencing tooth pain and cannot get in touch with an emergency dentist, you should call 911 immediately. We do recommend that you look into the licenses and credentials of any new dentist that you plan to visit, emergency or not. You can start by looking at the Worcester or Massachusetts dental society. You can also check out the Massachusetts Health and Human Services site and the Massachusetts Verification of License Search.